Wilkes University is a private, non-denominational American university located in Wilkes-Barre, Pennsylvania. It has over 2,200 undergraduates and over 2,200 graduate students (both full and part-time). Wilkes was founded in 1933 as a satellite campus of Bucknell University, and became an independent institution in 1940, naming itself Wilkes College, after English radical politician John Wilkes. The school was granted university status in 1990. The Wilkes MBA program is accredited by the Accreditation Council for Business Schools and Programs (ACBSP). This distinction shows potential employers, doctorate programs, and professional schools the comprehensiveness and excellence of Wilkes University’s curriculum. The ACBSP accreditation creates a competitive advantage over others seeking a career in business or admission into a doctorate program. The Jay S. Sidhu School of Business & Leadership was created in 2004. Students in the university's business program are required to take courses across several schools with the intent to provide an emotional education in addition to the typical business experience. School of Management Studies, Punjabi University has active collaboration with the Wilkes University. Under the collaboration the school is running short term as well as two year full time dual degree program with Wilkes University. The faculty/students from both universities have been visiting each others’ institutions quite regularly. Comprising four colleges - Business, Education, Liberal Arts and Sciences and Visual and Performing Arts - Kutztown University of Pennsylvania offers a wide range of outstanding academic programs to prepare individuals for successful careers. Located on 289 acres, the campus is adjacent to the Borough of Kutztown in Berks County, Pennsylvania. In 2012, enrollment at the university includes 9,804 students from more than 20 states and nations. About half of the undergraduates live in residence halls; the rest live at home or in nearby apartments. A well-rounded program of athletic, cultural, and social events and activities satisfies nearly every taste. KU is accredited by Middle States Commission on Higher Education, and approved by the Pa. Department of Education (PDE). Professional accreditations include the Council on Social Work Education (CSWE), National Association of Schools of Art and Design (NASAD), National Association of Schools of Music (NASM), National Council for Accreditation of Coaching Education (NCACE) and National Council for Accreditation of Teacher Education (NCATE). School of Management Studies has entered into MOU for short term students/faculty exchange program. 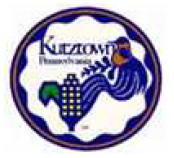 Two batches of students have already visited Kutztown University. Grand Valley State University (commonly referred to as GVSU, GV, or Grand Valley) is a public liberal arts university located in Allendale, Michigan, United States. The university was established in 1960, and its main campus is situated on 1,322 acres (5.35 km2) approximately 12 miles (19 km) west of Grand Rapids. Classes are also offered at the university's growing Pew Campus in Downtown Grand Rapids, Meijer Campus in Holland and through centers at Muskegon and Traverse City established in cooperation with local community colleges. GVSU is a comprehensive coeducational university serving more than 24,654 students as of fall 2012, from all 83 Michigan counties and dozens of other states and foreign countries. It is one of America's 100 largest universities as well as the fifth largest in Michigan in terms of enrollment, and employs more than 2,000 people with about 864 regular full-time faculty and 1,170 support staff. Grand Valley has three campuses: the main campus in Allendale and two satellite campuses in the surrounding area. Smaller centers in Muskegon and Traverse City also exist. A batch of 22 students from School of Management Studies visited GVSU for short term three credit program under partnership with GVSU. The faculty from GVSU has on many occasions visited PUSMS. The University of the Fraser Valley, as established by the University Act of British Columbia, is mandated to serve the post-secondary educational needs of its region. Specifically, UFV provides post-secondary academic, trade, technical, career and adult basic education programs that lead to certificates, diplomas, and degrees, at both the undergraduate and master’s level. Faculty and staff are also engaged in foundational and applied research and other scholarly activities that support its program areas and the development of the Fraser Valley. School of Management Studies has entered into MOU with University of Fraser Valley for research activities and a joint research project is going on between the two institutions. Yantai University (YTU) is a key comprehensive university in Shandong Province, located in Laishan District in the eastern suburbs of Yantai. The 210 hectare campus is situated in a diverse topographical area of mountains, sea coast, and farmlands. The area enjoys a very moderate, temperate climate with four distinct seasons. Yantai University is a public university founded in 1984 with the assistance of Peking University and Tsinghua University in Yantai, Shandong, China. Yantai University was established as a modern comprehensive university along the coast in Yantai, in July 1984, from a generous bequest by Sir Zhang Chengxian. Zhang Chengxian was appointed the first president. ocean flows, delegating intellectual and mind opening respectively. The majority of students registering in Yantai University are Shandong natives, and its graduates are best known as honest, diligent, and erudite. In 2008, the university had 21 faculties and provides 49 programs covering arts, law, science, education, management, medicine, music, engineering, continuing education, international culture. The university library serves the community with 1,680,000 physical bibliographies and 700,000 electronic items. School of Management Studies has a faculty and student exchange program with Yantai University, China. Tribhuvan University (TU) is the first national institution of higher education in Nepal. It was established in 1959 A.D. The Central Administrative Office and the Central Campus of the university are located on the north eastern facade of Kirtipur, an ancient and small town located five kilometers away from Kathmandu city centre. There are thirty eight central departments and four research centres in TU and out of them 31 departments and 3 research centres are located at Kirtipur. The university at Kirtipur is spread over an area of 154.77 hectares. The university provides undergraduate and graduate education. More than 4,400 courses are offered, of which 500 are for intermediate-level courses (equivalent to higher secondary school), 2,079 are for undergraduate and 2,000 are for postgraduate programs. The university has 85 integral colleges and more than 600 affiliated colleges throughout the country. Since it is government financed, it is less expensive than private universities. School of Management Studies has a faculty and student exchange program with Tribhuvan University, Nepal. The University of the South Pacific (USP) is an intergovernmental organization and public research university with a number of locations spread throughout a dozen countries in Oceania. It is an international centre for teaching and research on Pacific culture and environment. USP's academic programmes are recognized worldwide, attracting students and staff from throughout the Pacific Region and internationally. The colonial link and the establishment of the University of the South Pacific in 1968 allowed the education system to follow suit from the qualification system of the Commonwealth. University of the South Pacific is the only university in the Oceania region to be internationally recognized outside of Australia, New Zealand and the U.S. state of Hawaii with its bachelor's and other awards programme. teaching and academic activities. Two of the faculty members have been regularly visiting the USP for teaching and research activities to Fiji and other Island nations in South pacific. Siam University is a university located on Petkasem Road in Phasicharoen district of Bangkok. Siam University was founded by the late Narong Mongkhonvanit as a three-year private engineering school in 1965. In 1973, Siam University, then known as Siam Technical College, was formally established as a higher education institution with authorization to grant degrees. Later in 1986, Siam Technical College became Siam Technical University, a fullfledged private, non-profit university. Three years later, the name was changed again to Siam University to reflect the diversity in the fields of study offered. In 1995, the international college was established. Currently, over 400 international students from more than 15 countries are enrolled in the international college of Siam University. The agreement between School of Management Studies and SIAM University provides for exchange of students. A Group of students will be visiting Bangkok in the month of September 2014.